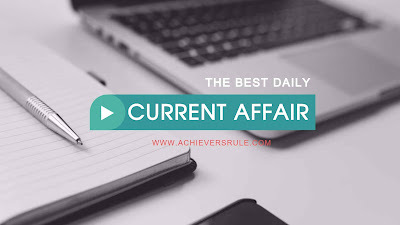 Current Affairs Updates for 19th April 2018 has some grasping news such as Lieutenant General PP Malhotra as Director General of National Cadet Corps, India's 10th rank in Commonwealth Games, India's Win to Subsidiary bodies, Food and Agriculture Organization's New Sites and other similar news. These are very vital for the upcoming examinations of Bank like IBPS PO, IBPS CLERK, SSC CGL, SSC CHSL and Railways. Aspirants should go through them in details for a better understanding of the topics. Along with that we also suggest you all to go through the One Liner and Static GK Points which will be published by the end of day and also do practice the Daily Current Affairs Quiz. Lt Gen Malhotra’s distinguished professional career includes various regimental, staff and command appointments. The Nifty 200 Quality 30 index includes the top 30 companies from its parent Nifty 200 index. The selection is based on ‘quality’ scores. The Biju Expressway-IB Thermal-Coal Region link would improve transport and accelerate economic growth in the entire region, Mr. Patnaik said. To involve the districts more actively in the growth of the Indian economy and to formulate a common development vision starting from the district level, through a participatory mechanism, it has been decided by Union Commerce & Industry Minister Shri Suresh Prabhu that District Plan will be created for achieving this goal. An addition of 3% growth at the district level will ensure that USD 5 trillion target for the Indian economy becomes achievable. NITI Aayog will start ranking states on the nutrition parameter under the government run Poshan Abhiyaan. Some of these are Siwa Oasis, Chinampa Agriculture, Zhagana Agriculture and Huzhou Mulberry. India is expected to grow at 7.4 per cent in 2018 and 7.8 per cent in 2019, leaving its nearest rival China behind respectively at 6.6 and 6.4 per cent in the two years, as per the IMF. China is expected to grow at 6.6 per cent and 6.4 per cent in the respective two years. The US will place "reciprocal restrictions" on the movement of Pakistani diplomats in the country from May 1, forcing them to stay within 40 kilometres of the city they are posted in, according to media reports. Prabhu congratulated Federation of Indian Export Organisations (FIEO) for coming out with the interesting idea. He said that this initiative will help in expanding India's multi-focused export strategy and also aid in connecting art and artisans to the market. Amazon.com Inc (AMZN.O) announced a new feature within its Amazon shopping app to cater to international customers shopping for U.S. goods, targeting Brazil, China, Germany and Spanish-speaking markets. This agreement aims to promote a sustainable framework for present and future partnerships and cooperative actions between the French aerospace industry and the Indian defence industry by reaffirming the necessity to expand trade, through stronger economic and industrial cooperation, between France and India, and towards export customers. The two countries will exchange knowledge and explore cooperation on smart cities, including transit-oriented urban development, air pollution control, waste management, waste-to-energy, waste-water treatment, district cooling and circular economy, including through dialogue and capacity building. The Wiesbaden Process was initiated by Government of Germany in 2012 to strengthen implementation of UNSC Resolution 1540 through Government-Industry partnerships. The first meeting of National Council on India’s Nutrition Challenges under POSHAN Abhiyaan was held in New Delhi. It saw participation of NITI Aayog Vice Chairman Dr Rajiv Kumar, CEO Amitabh Kant and representatives of various ministries of Central and State Governments. Aditi Rao Hydari added another trophy to her achievements as she will receive Dadasaheb Phalke Excellence Award 2018 for the Best Leading Lady (Critics Award) for her memorable performance in Bhoomi. The Sourav Ganguly-led technical committee of the BCCI has unanimously recommended the reinstatement of Bihar and inclusion of northeastern States in the 2018-19 Ranji Trophy. The technical committee unanimously approved the inclusion of Bihar in the Ranji Trophy 2018-19 season.